In this week’s History of Magic, we look at the Indian mystic Kuda Bux, one of those rare performers who seem to be able to perform feats that border on the supernatural or impossible, feats that appear to be beyond the normal capabilities of magic as we understand the term. Born Kuda Bukhsh in Aknmur Kashmir, Pakistan on February 17th 1905, Kuda Bux was very different. 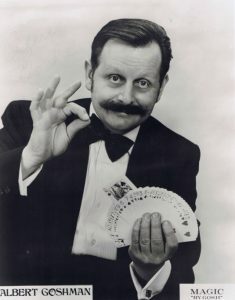 Although a soft-spoken and humble man, he became famous as “The Man with X–Ray Eyes” who performed a very unique and rarely seen type of magic. Kuda Bux saw his first street magician as a child with his parents and realised that was what he truly wanted to do. He left home at age 13, having been influenced by fakirs and holy men. Throughout his life, Kuda Bux blurred the line between magic and mysticism but never made false or ambiguous claims. Eventually he went on to tour the world with his extraordinary powers that bordered on mind reading and paranormal-like abilities. 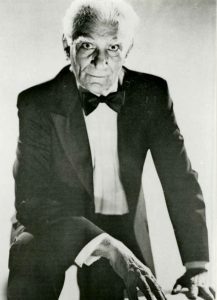 The name Al Goshman may not be as familiar with laymen as it is with magicians around the world, but he certainly made his mark in the history of magic as he left us a real heritage in the art of close-up magic. Born Albert Goshman, Al was born in New York on the 6th of December 1920. While doing some research on his family roots, he discovered that he had an uncle with the surname Goshminski living in South America. It became obvious that his father had changed the family name when he arrived in America. United States customs officers had difficulty pronouncing and spelling foreign-sounding names when large numbers of European immigrants began arriving at Ellis Island, so it became acceptable to change the names to a more English sound and spelling. 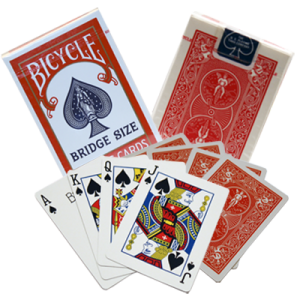 In this week’s History of Magic, we’ll look at the life of the African American Richard Potter, the very first known American magician to achieve success in the land of his birth. 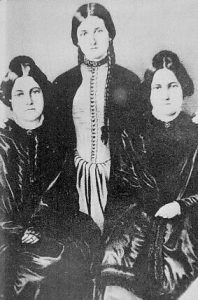 Richard Potter was born in Hopkinton, Massachusetts in 1783 and was the natural son of estate owner Sir Chares Frankland and one of his servants called Dinah. Potter’s father’s wealth enabled the future conjuror to receive a fairly good education. In 1798 Potter travelled to England as a cabin boy. 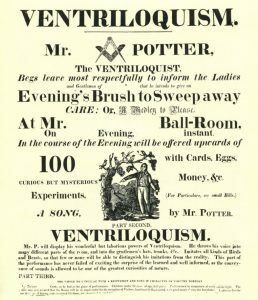 It was in England where he met the Scottish magician/ventriloquist John Rannie, who captivated the young Potter. Rannie convinced Potter to join him as his protégé and they began a tour of Europe. One of Rannie’s tricks was to remove the head of a chicken then restore it, and it became Potter’s job to find live chickens that had the same appearance in each town they performed in.